The Wildcats’ soccer team was impressive Friday night (February 1) as they fought to a 1-1 tie against Lovejoy in Lucas Friday night. The lone Wildcats goal was scored by Alexis Escobedo. 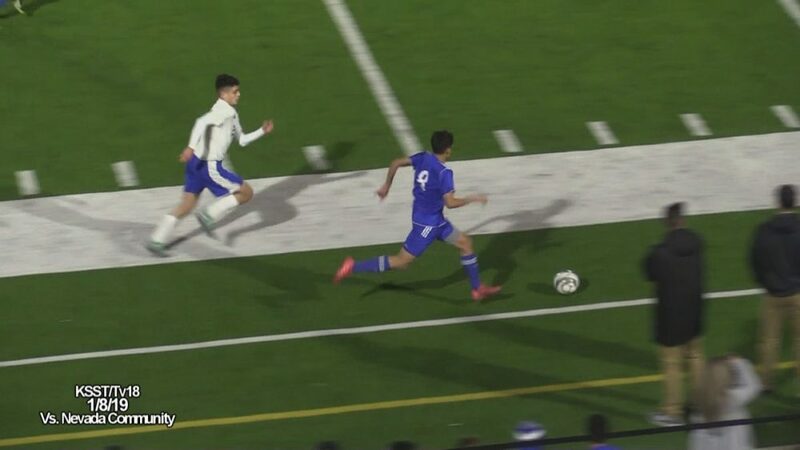 Kevin Yanez got an assist on the goal. The match brought together last season’s bi-district opponents. The Wildcats season record is now 4-5-2. Wildcats Soccer Coach Alexi Upton said it’s finally coming together for the Wildcats. He added the Wildcats look amazing and are playing so fluid and strong. Coach Upton said the Wildcats out worked and out possessed the Leopards. The Wildcats play Melissa next Friday night as part of a Lady Cat and Wildcat soccer doubleheader at Gerald Prim Stadium. The Lady Cats play Melissa at 5:30 p.m. and then the Wildcats take on Melissa at 7 p.m. The Lady Cats’ soccer team hung with Wylie East for most of the night Friday night (February 1) at Gerald Prim Stadium but the Lady Raiders finally secured the victory with a late goal winning 3-1. Wylie East led 2-1 for the vast majority of the match. The game was a rematch of last year’s very competitive bi-district bi-district battle. The Lady Cats are now 0-9-3 for the season. They play Nevada Community next Tuesday at 7 p.m.